heather & olive: recent obsessions. 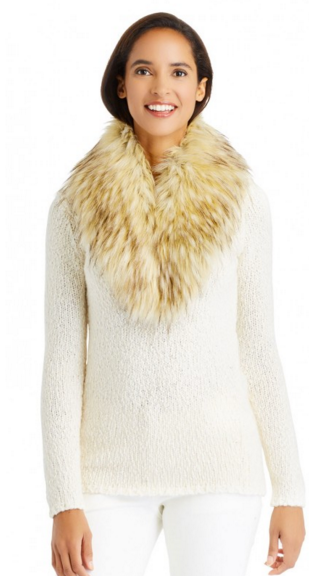 I had been on the hunt for a faux fur collar for a couple of years now, but every one I found was either a) not faux or b) stupidly expensive. The J.McLaughlin catalog arrived on my doorstep at the beginning of the week and I was super excited to find their willo collar featured inside--I quickly bought it and I can't wait to wear it with sweaters and blazers all winter long. I'm also obsessed with this coat...I might be adding it to my Christmas list. I love a good faux fur. 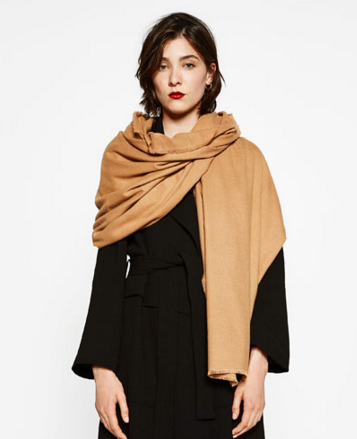 Continuing the neck accessory theme, I also scooped up two of Zara's super soft plain scarves (in grey and camel) and I'm in love. They are huge and so soft and perfect for this time of year--they'll also be great for travel. They come in a bunch of different colors and don't break the bank at $29.90. I know I'm going to get so much use out of both of them. Wishing you a very cozy and happy weekend!